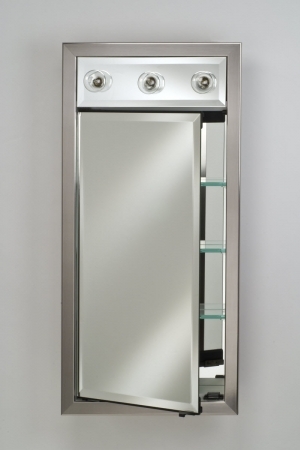 This contemporary styled medicine cabinet makes a great addition to the bathroom. 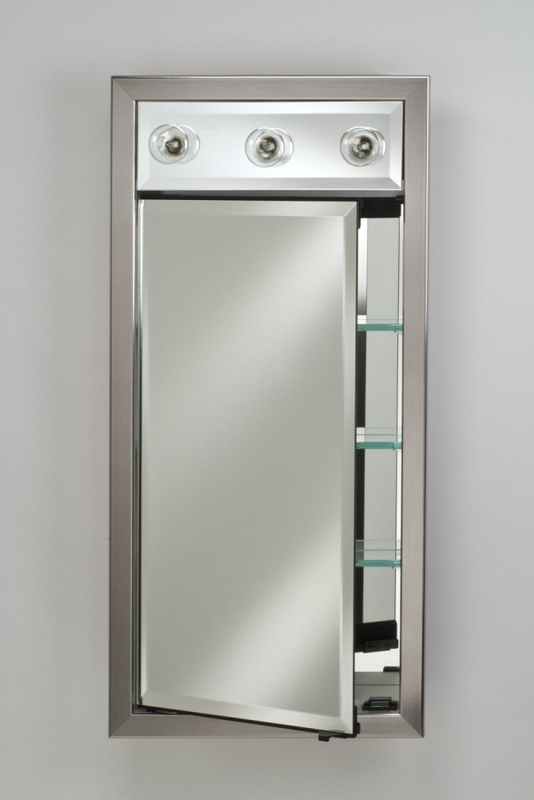 It provides functionality with the mirror for a personal reflective surface and the interior offers ample storage space. The lighting is right there over the mirror where it is needed most in the bathroom. The frame and the fixture are available in a wide selection of color choices.